The YZS-100A combined automatic oil expeller is an advanced vegetable oil press which is developed on the previous single oil press machine according the market demands. 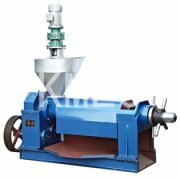 It has strengthen the function of frying and automatic controlled temperature, which has changed the traditional way for increasing dry cake's temperature, therefore it reduced the working time, and also reduced the waste of power and consumption of machine, otherwise it has lengthened the service life of the machine. If working process was interrupted, the squeeze chest could keep on a certain temperature automatically. In adittion, our new type of automatic oil expeller also has increased the use function and improved the automatization, changes the single oil press machine into combined automatic oil expeller with frying, squeeze, and filtration. The oil plants feed into the squeeze chest directly after it has been fried and the grease squeezed out will be filtered in the vacuum filter. The vacuum filter has the character of light weight, convenient operation, quick filtration, etc. This YZS-100A integrated automatic oil expeller mostly composed by four parts: feeder, press chamber, electrial control and vacuum filter drum. The heating system is inside press cage. The filtering drum is vacuum with sight glass. The oil sight glass can help user to control the speed of oil clearing process. 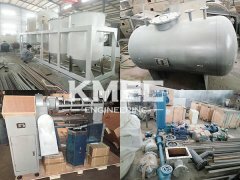 This machine has many advantages as the compact structure, small ground requiring, save a lot of working time, and it is suitable for small and medium scale oil plants processing factory. The automatic oil expeller features high oil output rate and good oil quality. The auto-heating system can improve oil output greatly. 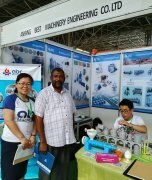 It is speically for farm use or small oil pressing workshop. If you are interested with any of our automatic oil expeller, please feel free to contact us in the following form. We are always at your service!